Teak Furniture Outlet offers the Avant Teak Stacking Chair that displays a classic shape that matches or Avant Teak Table. This comfortable and sturdy teak chair stacks for storage and will fit underneath most standard tables. 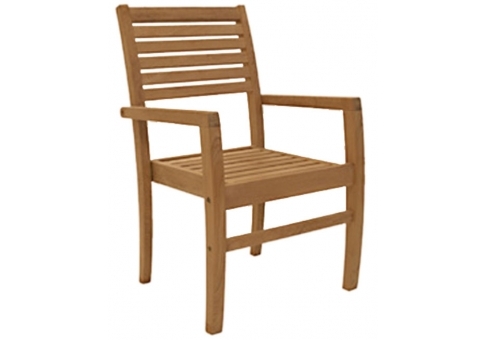 This teak chair is kiln dried and fully machine made with mortise and tenon joints for a tight fit. It features solid brass fittings, and the high content of oil in the teak protects it from the outdoor elements. 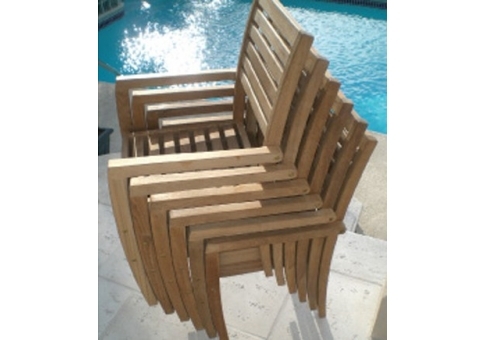 No matter what climate you might live in, you are ensured a lifetime of enjoyment with your teak furniture.